Unforgivable Woman embodies the essence of sensuality that intoxicates the senses. This delicate blend of bergamot, orange flower, jasmine and coco de mer is captured in a deep rose gold bottle that glistens with femininity. 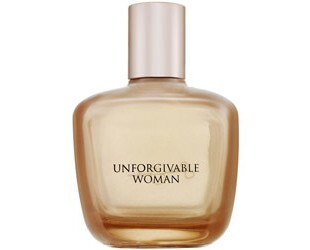 Unforgivable Woman is a seductive scent that expresses what it is to be the unforgivable woman. Notes include Orange Flower, Grapefruit, Cyclamen, Violet, Coco de Mar and Iris. It is recommended for a romantic occasion.